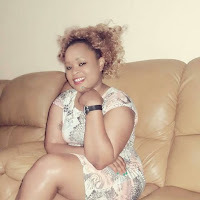 Wednesday, February 13, 2019 - Joseph Kori’s killer mistress, Judy Wangui, lived a high end life in the city where she enjoyed the finer things in life. Her facebook page is littered with photos of her enjoying lavish vacations and dining in top hotels in the city. She was staying in a lavish apartment at Fourways Juncti0n along Kiambu Road where she paid monthly rent of Ksh 60,000. But as she enjoyed good life in the city, her mother and son were suffering in the village. The stupid lady had dumped her son in the village where he lived with her poor mother. Judy Wangui’s son goes to a nearby public school in Gatundu. To make matters worse, her sickly mother lives in a mabati house as she enjoys high end life in Nairobi. Watch this video courtesy of NTV and see how brainless slay queens like Judy Wangui make stupid decisions in life.